It was a sensory delight in every way: scents, sounds, sun, smooth mocha intake. I got my peace on in a big big way. And then—then I came home to… …a pile of bins, stacks, recycled boxes, etc., in my living room. My previously neat and orderly living room. The husband was on an errand. The two youngest were coming down the stairs with more bins, proud as peacocks, and I? I somehow dropped all peace out of every pore, and bubbling blood pressure started the slow gurgle up my body, making its way to a yell as it exited my mouth. No evidence of the relaxation I had experienced just a half hour before. My tiny living room was now taken over by two kids left home to their own creativity, and what had filled them with collective joy was suddenly squelched and stomped on by Mom’s lack of restraint and self-control. I was not proud of myself—not at all. I later took the chance to explain to my kids why that caused a surge of angst but also why I appreciated that they were working so nicely together and had created something so awesome. I’ll be honest. It took me a few hours to form that more reasonable response. Fast-forward to my little guy’s integration therapy appointment a few days later. I happily chirped to the therapist that it was his first amazingly functional Monday in weeks and that I credit her for his body regulation (which always helps functioning, focus, mood, flexibility in thinking, etc.). [As it turns out—and the therapist confirmed—all of that lifting, building, and body contact with heavy items gave him the regulation he needed to wake up functional and happy on Monday.] In that moment, my heart ran up into my throat and pulsed there. I felt God telling me something. I knew He was showing me that something I had made all grumbly and screamy was actually the help I’d been asking for—just not the way I had imagined. —now get this part because it may be you too!— exactly the answer to our problem: how Mondays could stop being so difficult. See, Little Man has had it in his head for weeks to build a fort. He finally convinced his sister to help him. God had already whispered into his ears what he needed to do. I heard (in my selfishness): Inconvenient fort that messes up my personal space. Which one of us listened to the Father? Which one of us took the fort as the blessing that it is, asking no questions, just embracing it? Are you staring at what seems like an inconvenience, mess, problem, interruption, and feeling your blood boil? I’m pretty sure they were wondering where the treasure was in their situation? The blessing? The gift? Turns out it was going to be that He would hear them when they called to Him with honest hearts. He who walks righteously and speaks uprightly, who despises the gain of oppressions, who shakes his hands, lest they hold a bribe, who stops his ears from hearing of bloodshed and shuts his eyes from looking on evil, he will dwell on the heights; his place of defense will be the fortresses of rocks; his bread will be given him; his water will be sure (emphasis mine). when he built that thing in my living room, responding to a need and an idea God had given him. Where can you trust God for the blessing in whatever your fort is today? Know that when you do, you too will receive what you need: bread and water as you need it—and the hope of everlasting life and peace with God. For what it’s worth, that fort is staying there for a few weeks. I need the reminder. I’m SO glad the fort happened, and Mondays transformed, because of God’s sweet whisper to build that fort. Ya know what else? I think you came home just at the right time- like God kept you away JUST long enough so they could do their thing without you stopping them. God knew that would curl your fingers into fists, so He prompted them to get started before you came back. He knows us SO well, doesn’t He? Ah… perfect timing indeed. LOVE that!! Chrissy…thank you for this! I’ve been meaning to reply for days! Belligerent is a good word for it. I was almost child-like in my initial response. Yes, I’m so grateful…Mondays are awesome now! I found so much comfort in what you said about me coming home at just the right time…so so true. Wow…that’s a beautiful thought! Thanks for unwrapping that one for me! I appreciate your wisdom so much! I felt sorry for you when you returned from your mini vacation, rested, at peace, and returned home to a fort inside your living room. Life can be so tricky sometimes. It can be hard to find yourself in just the right place. The place where things in your life are good for you but also works for your loved ones. But the Lord always nudges us to push us in the right direction, if we are obedient to His promptings. Thank you, Mary! I read your soothing words several times. You are onto something there. I needed to digest more of what was behind my peace. My peace was a gift from God, but my assumption it had to stay in that form was my own selfish heart. And I needed to keep an ear open to hearing what God was doing with all of us and not just me. I know you didn’t say all that…but your words helped me crack this open in a more meaningful, deeper way. Thank you! I really appreciate you! Blessings! Wow. This post….I saw myself in it, Bonnie, so many times. This lesson is brilliant for mothers. for parents, and for anyone. I know how you felt when you saw that fort and later when you felt God’s instruction. He is amazing, and this post is a great reminder for me that I need to pray to see as He sees – always. I loved everything about this post, Bonnie. I appreciated your wonderful insight into Scripture; your special viewpoint as a hard-working mother who faces challenges daily; and I loved the tale of mercy and love entwined in these words of yours. ” What blessing is in your fort?” It’s a great question. Oh, Hillary! Thanks so much for coming by “Espressos of Faith”! Reading your summary of the struggle and blessing really helps me. Mercy and love! Yes! That’s exactly what the lesson in this is. And how I keep needing to hear it, and He is so patient to keep Fathering me with both! Blessings to you! Oh Bonnie, I was so touched by this post. First of all, your precious son – what a wonder that God used an *inconvenience* to answer a prayer. But, should we be surprised? God often works in ways that we don’t understand, and sometimes we don’t even see the work for we are focused on ourselves. How often have I missed a blessing because it didn’t come in the neat little package that I wanted? And sometimes, answers come in hard things, too. But, in it all, God works. I am praying that He helps me combat my tendency to view things in a negative light. And I am asking that my eyes be opened to the *forts* He chooses to use when He works in my life, and in the lives of those I love. Sharon…I’m enjoying our neighboring links lately! So fun to interact with you! Isn’t that a wonder and just like God? Imagine that He already knew and I’m just slow to catch on. LOL Why am I always so surprised? I struggle not to see things through a negative lens as well. It’s why I write…to hold me accountable. Blessings to you! I love how God works in mysterious ways. In ways we don’t expect “His ways are not our ways”. How wonderful that building the fort together with his sister was just what your little guy needed. Thanks for the reminder to look for the blessing in the midst of the mess – to ask God to open our eyes to things beyond our ways. Hi, Kamea…so nice to see you here! Thank you for stopping by “Espressos of Faith” and sharing your thoughts! I really appreciate that! He is mysterious, and He keeps me forever in awe. It’s amazing how He delights in delighting us. Blessings to you! “Are you staring at what seems like an inconvenience, mess, problem, interruption, and feeling your blood boil?” YES, I am. “Are you able to pull it back a layer and ask God: “What are You doing here? Is there something else I should see? Help me to see what You see.” YES, praise God I am able to! Still waiting for His answer, but trusting His heart. Lovely post, Bonnie. Stopping in from #GraceTruth. Oh, Leah…so glad you can answer those questions and know He is providing, even if you can’t see it yet. The waiting place is so hard and yet, I feel we see Jesus most closely there. Blessings to you, and thank you for coming by “Espressos of Faith”! This is such a great teaching point. Thank you for sharing so openly so that we can learn from you and from what God says. So thankful to be connected with you! Hi, Stacey! I finally got to vote for you, BTW! 🙂 Keep me posted! Thank you for coming by #EspressosofFaith! I am very glad to connect with you as well! You missed our winter…how glad are you? 🙂 Blessings! 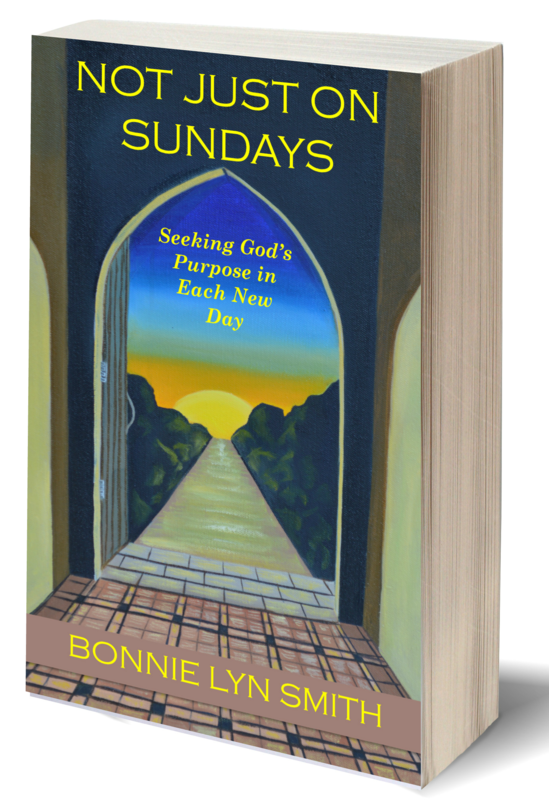 Bonnie, What a great lesson in trusting God! His ways are higher and He always has a plan for us and He truly does work all things out for good! It’s hard to look deeper and try and find the blessings in what God is doing when it is “messy” but God is so faithful and the blessing is always bigger than the mess! Thanks for sharing this story and bringing out such a great application! Hi, Michele! Thanks so much for your encouraging words! I really struggle to look past the mess. I am so short-sighted and often only see what is in front of me. I need people to make more forts in my life. 🙂 Blessings! Thanks for coming by #EspressosofFaith!